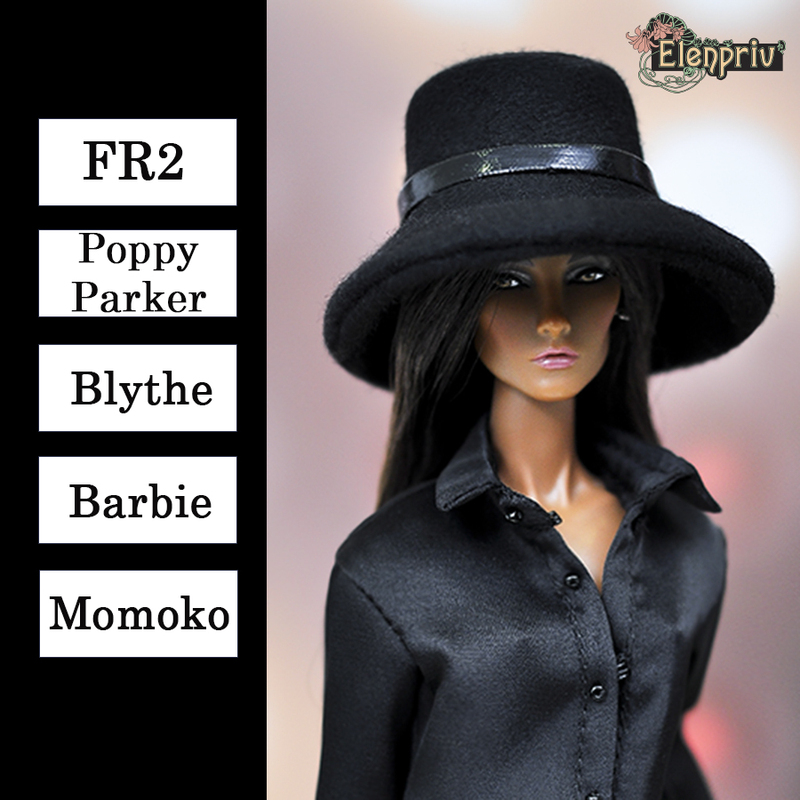 Black wool broad-brimmed hat for Fashion royalty FR2, Poppy Parker, Blythe, Barbie Curvy, Barbie Pivotal, Barbie Silkstone, Barbie Made to Move, Momoko and similar body size dolls. Model: Elise Jolie Séduisante 12 inch Fashion doll by Integrity Toys Jason Wu dolls. Doll, shoes, bijouterie, blouse, pullover, jacket and diorama are not included.